Prescott sits at an elevation of about 5,200 feet above sea level among the largest stand of Ponderosa Pine forests in the Continental U.S. Our Prescott weather is nearly perfect at an average temperature of 70 degrees, with four distinct and beautiful seasons. 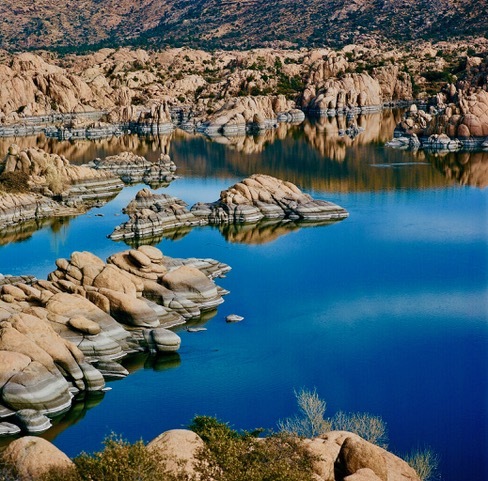 Prescott has gorgeous and varying landscapes such as granite mountains, lakes, streams, and rolling meadows. The wildlife here is amazing! Once the territorial capital of the state, Prescott is rich in history embodied in its world-famous Whiskey Row and abundant historical landmarks. Whether you're seeking to relax in a natural environment filled with beauty and wildlife, or to soak in the history of Wyatt Earp, Doc Holliday, and cowboy forays in the most famous saloons of the Old West, Prescott never disappoints! Prescott draws visitors from all over the world who enjoy our unique setting, Old West history and spectacular climate. Throughout the year Prescott offers a variety of events and activities that make living here such as special place to be. Along with outdoor activities to choose from including horseback riding, golfing, kayaking, fishing, hiking, camping, mountain biking, we also have local breweries, restaurants, shopping, and a hometown feel that keeps Prescott, AZ a favorite place to visit and stay. For a list of FUN things to do while you are visiting Prescott, CLICK HERE.